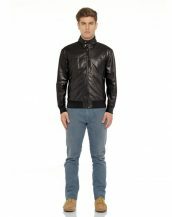 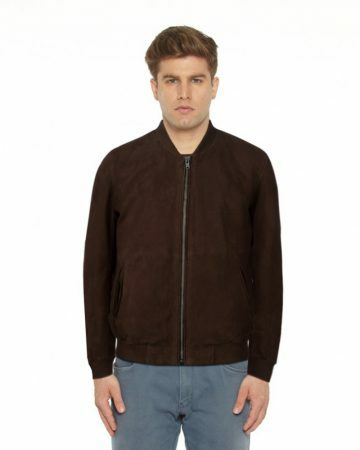 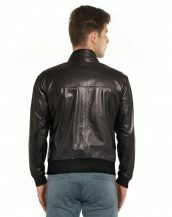 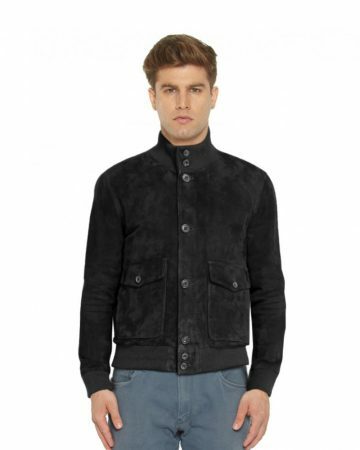 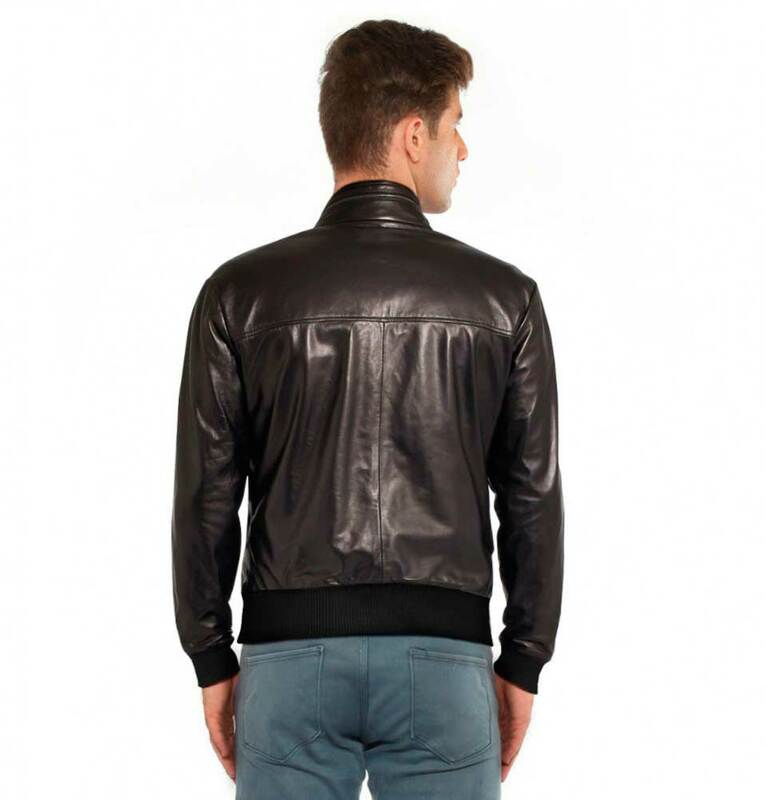 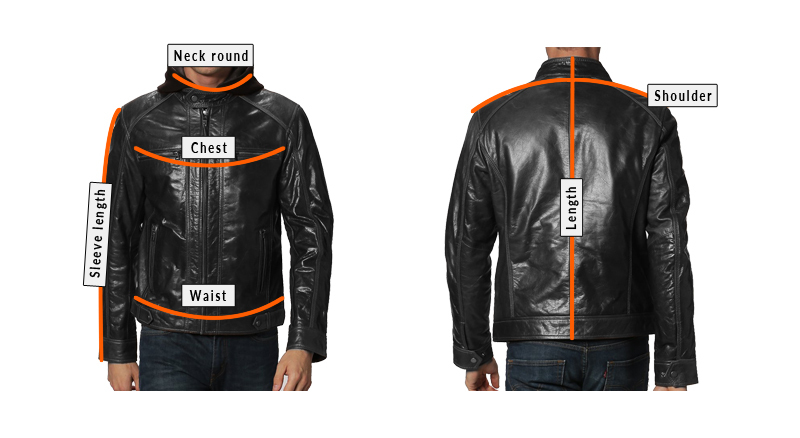 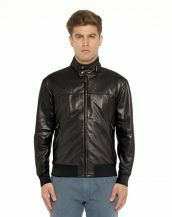 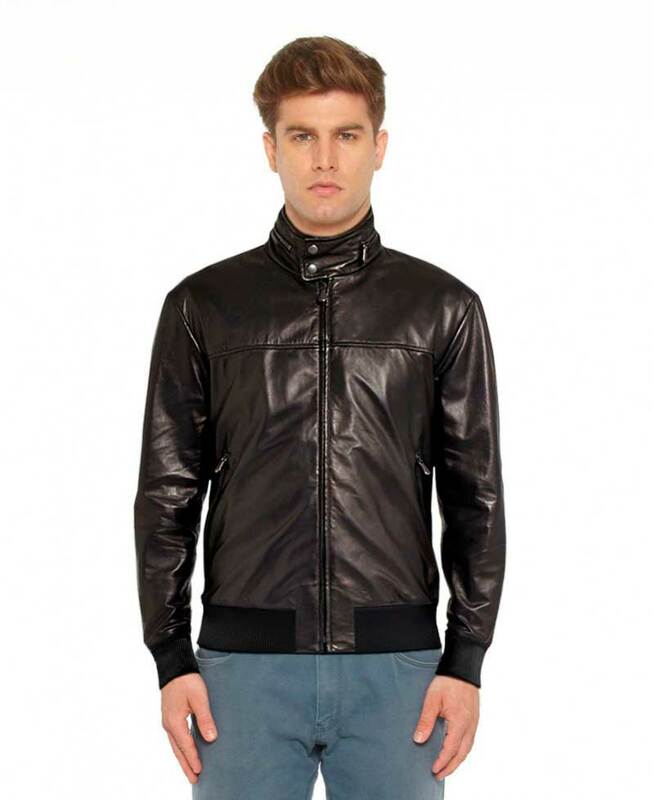 This stylish black leather bomber jacket is a thing of comfort and edge. 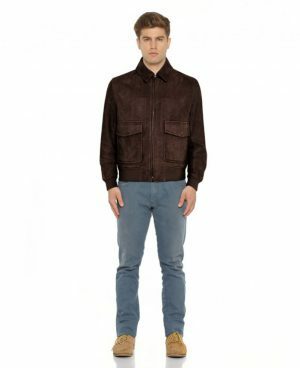 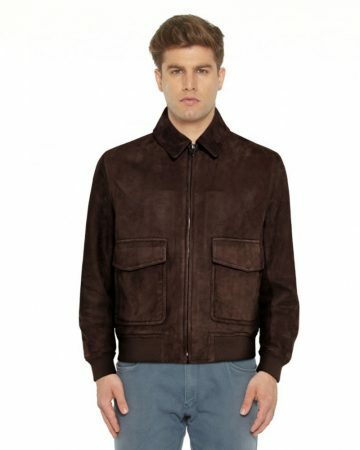 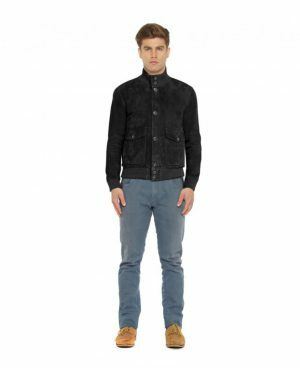 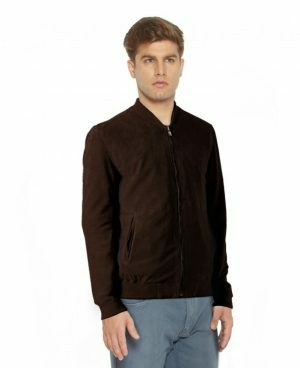 It has got the features like band collar with double snap closure, front zip fastening, double-sided zippered slit pockets, and rib knit hem and cuff and smartly tucked waist. 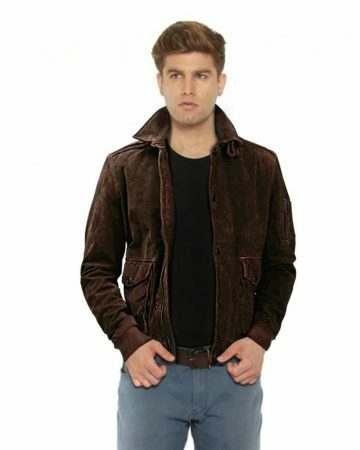 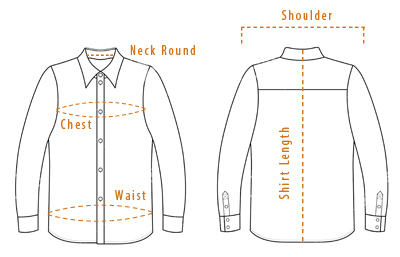 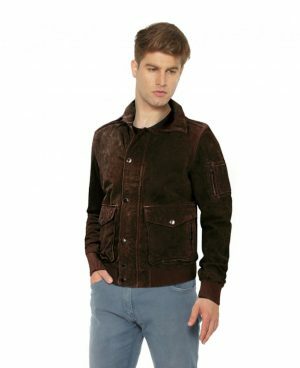 Be eternally suave and pair with white shirt and denims for an event or otherwise.